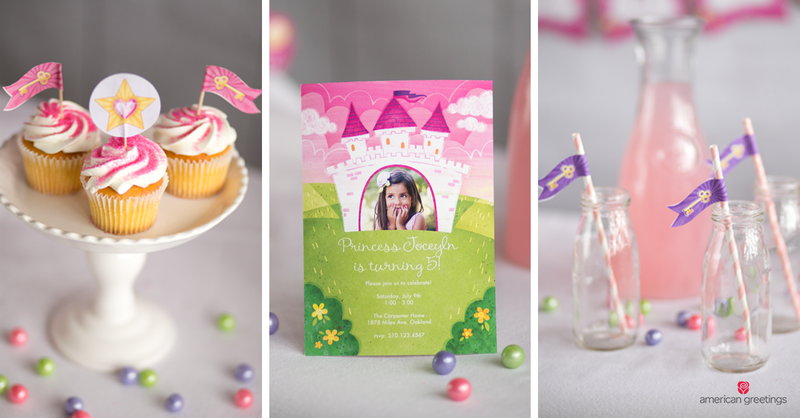 Last month I worked on a design for this princess party invitation, and that got me thinking about other things I could create for a princess-themed party. 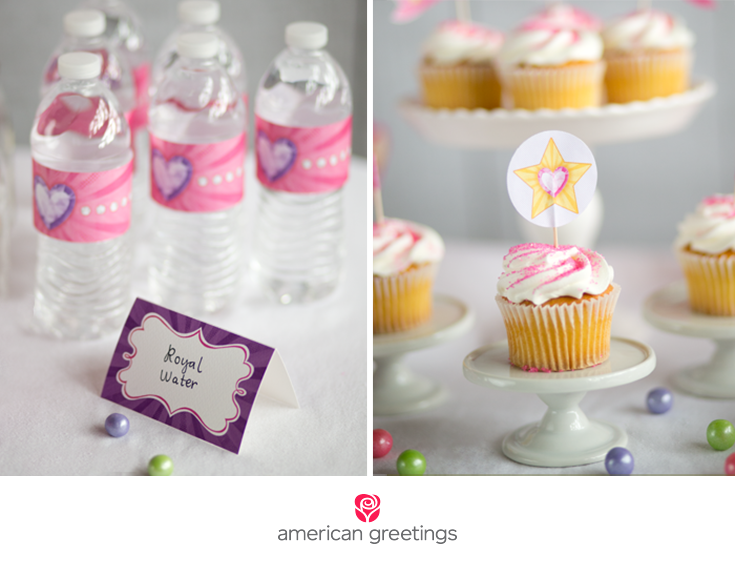 Whenever I think of princess parties, I think of the color pink. 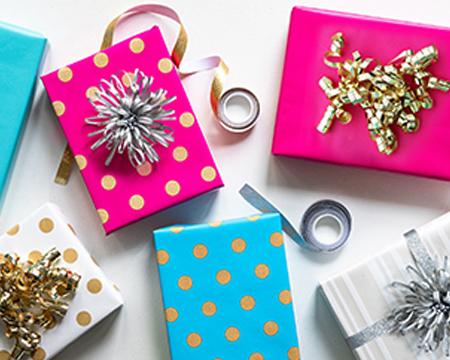 But more importantly, I think of tiaras — because you can’t have a princess party without a little dress up, right?! 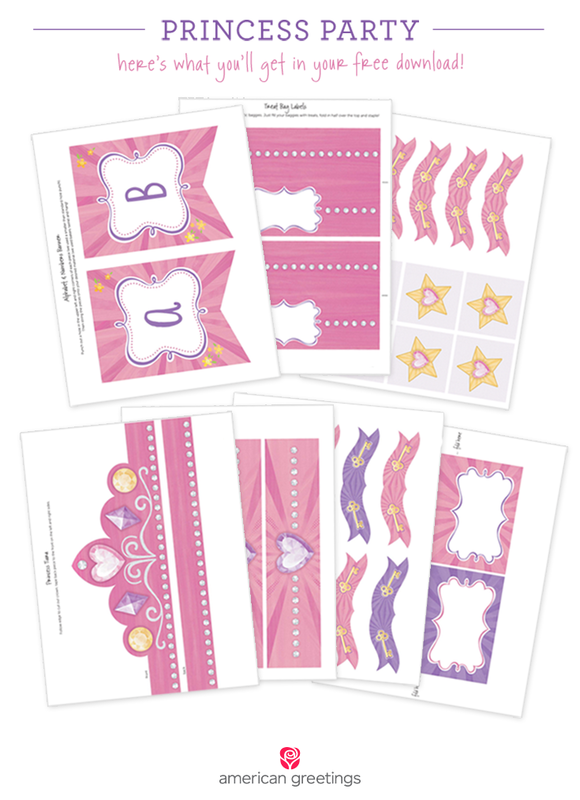 So, I designed a set of free princess party printables, including a pink tiara for each of your royal guests at your next celebration. 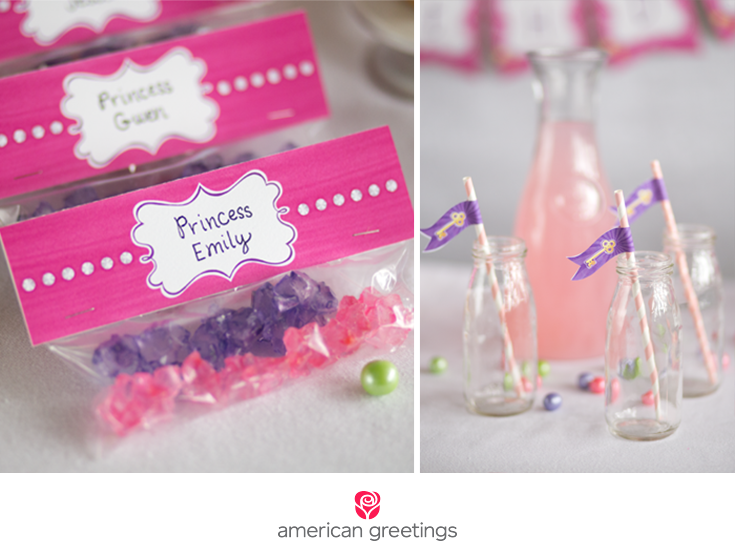 We thought rock candy would be so cute in these treat bags because it resembles little jewels! 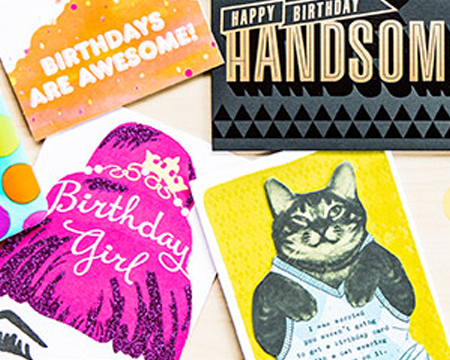 The illustrations for these printables were beautifully illustrated by Dan Liuzzi. 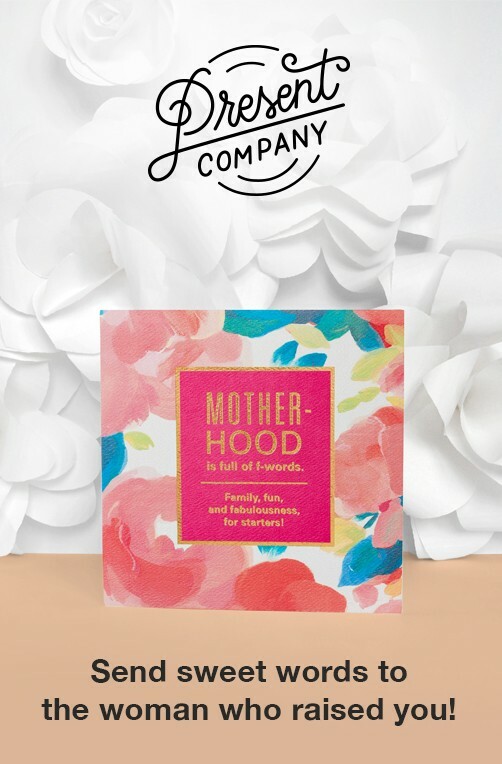 My favorite piece is definitely the tiara — hopefully, it helps make your little one feel a bit more royal on her big day! 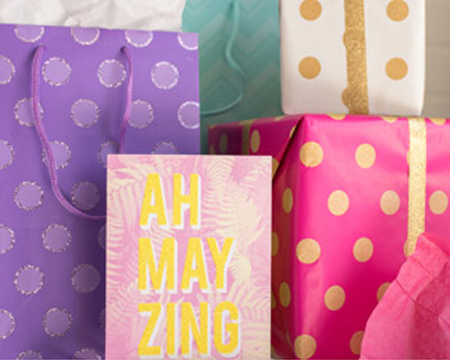 These downloads come in 2 PDFs: Alphabet and numbers banner and Everything else! 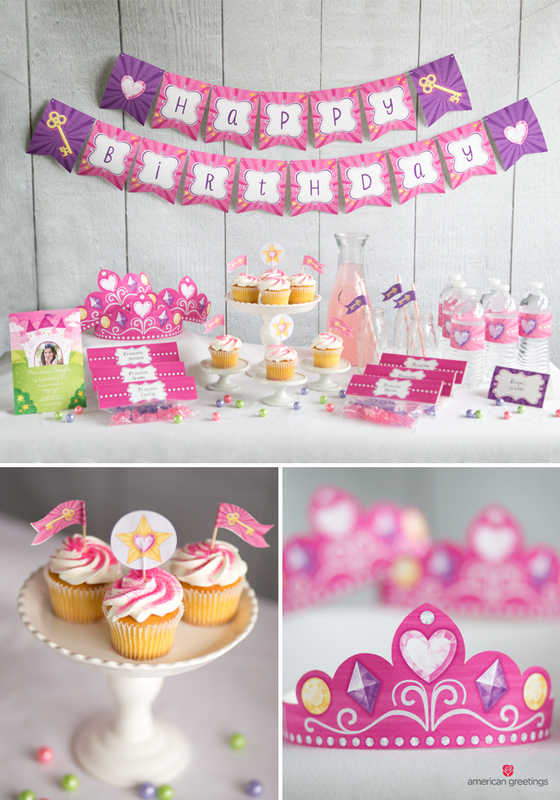 I think this party turned out adorable and couldn’t wait another minute to share these princess party printables with you.